Indonesia expects to receive 20 million tourists by 2019. This is according to Arief Yahya, Indonesian Minister of Tourism. 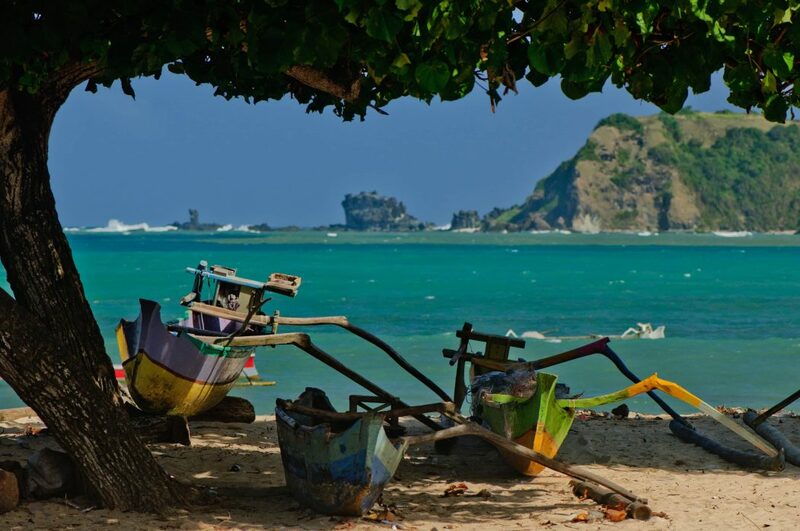 Lombok features prominently as having the fastest growing tourism market in the region. Development of the island in recent years has sped up with the new international airport, helping to increase arrivals and both private and government-backed resort projects, some of which are already open for business. This provides a unique window of opportunity for investors to buy into a market that is on a steep upward curve, yet remains exclusive and available with an unbelievable value. The Indonesian government is finally realizing Lombok’s huge potential, promoting the Island to become Indonesia’s primary tourist destination. The provincial government has also been actively introducing tourism projects and promotional activities to attract visitors to Lombok. Indonesia expects to welcome 20 million tourists by 2019. This is according to Arief Yahya, Indonesian Minister of Tourism. Lombok features prominently as the fastest growing tourism market in the region. 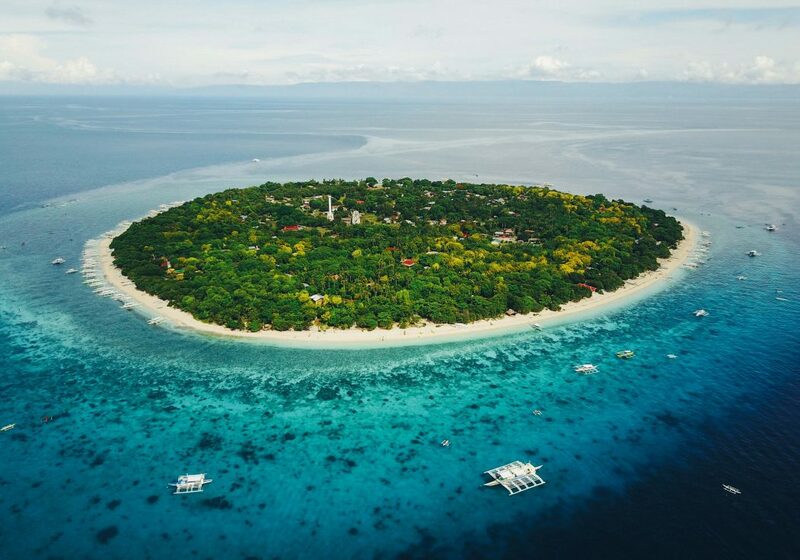 The island, considered in the top 5 emerging investment spots in Asia since 2015 by property report, is strategically located near the tourism epicenters, Bali and Komodo Island, and is blessed with spectacular natural beauty. Its beaches are considerably less crowded and more pristine and tranquil than those of its neighboring sister, and its volcano Mount Rinjani, the second highest in Indonesia, is considered by many as one of the most beautiful volcanoes on the planet. The unprecedented level of growth is mostly attributable to the island’s increasing popularity as an alternative holiday destination to Bali. As Bali faces challenges of oversupply and soaring land costs, investors are turning to Lombok as an attractive alternative site for land and property investments. According to Tourism Solutions International, tourism on Lombok is set to double, “The island is also fast gaining interest from foreign real estate investors and individuals seeking an alternative to the increasingly saturated Bali market for property purchases. Lombok’s land prices are still very competitive with potential for extremely good returns”. Development is still mainly concentrated along the north-west coastline, where Lombok’s most popular destinations are situated: the famous Gili islands of Meno, Air and Trawangan. 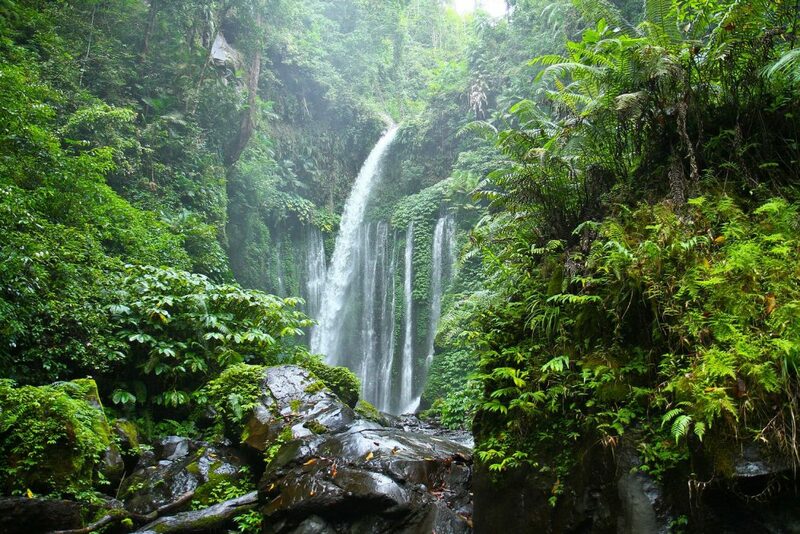 However, many of Lombok’s untapped locations still have the potential for big investment and tourism development. In particular, the southern part of the island is witnessing a surge in development and investment interest, further to the recent opening of the international airport in Praya, located only 20km from Kuta. The development of the US$3billion Mandalika Resort in Kuta Bay, South Lombok is a major driver in increasing land values. With its natural beauty and cultural authenticity, Mandalika has high potential to become the next world-class tourist destination. 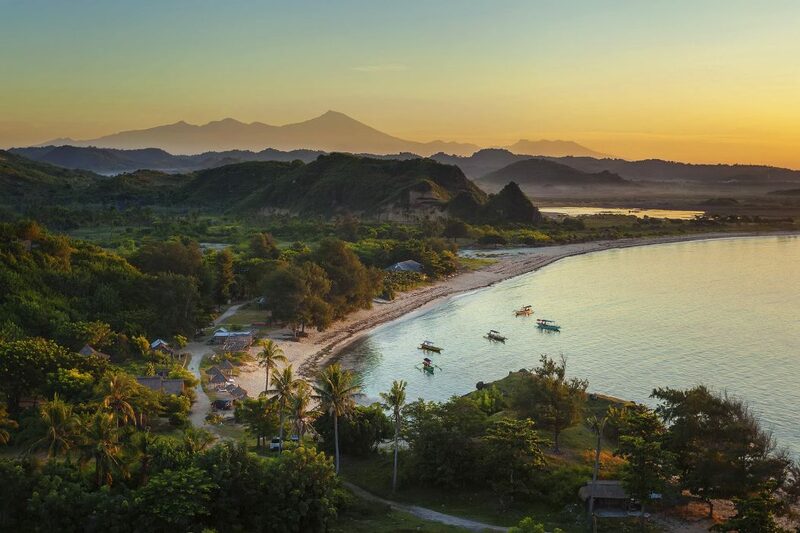 Delivering a 1175ha of tourism-related mixed-use products, Mandalika is positioned as an ecotourism destination, which actively incorporates environmentally friendly technologies, such as solar farms, SWRO plants, and allocates more than 51% as dedicated “green space”. Location is often cited as the main determining factor in the value of any given property. The same concept applies when considering the Indonesian islands. This exclusive piece of paradise is just a 2 hour 30 min flight from Singapore, or 30 min from Bali. Located in the middle of the idyllic Indian Ocean, Lombok boasts a climate that seldom sees temperature above 33C or below 21C. This means glorious sunshine and perfect weather for exploring the stunning beaches, diving in clear aquamarine oceans, and enjoying your holidays in a true tropical paradise. 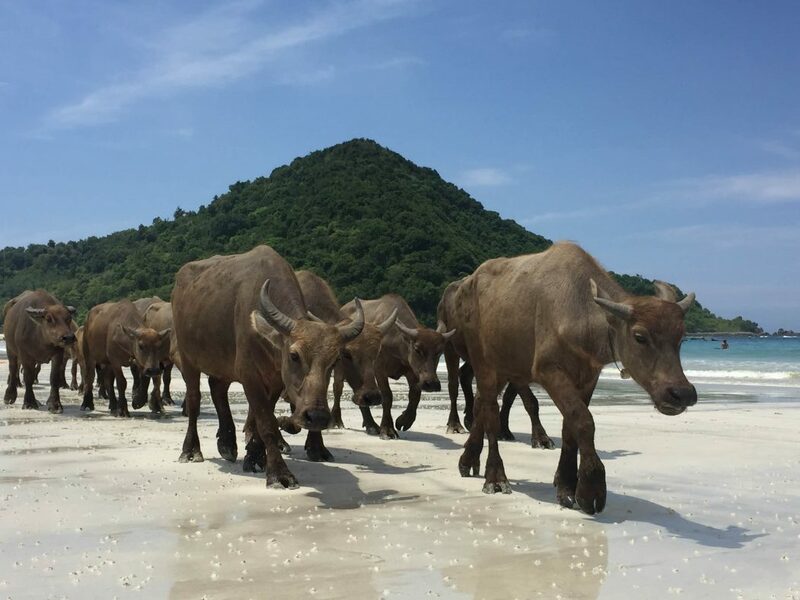 Lombok is the most popular destination in Nusa Tenggara, Indonesia, with the fabled Gili Islands drawing visitors for action both in and out of the water. 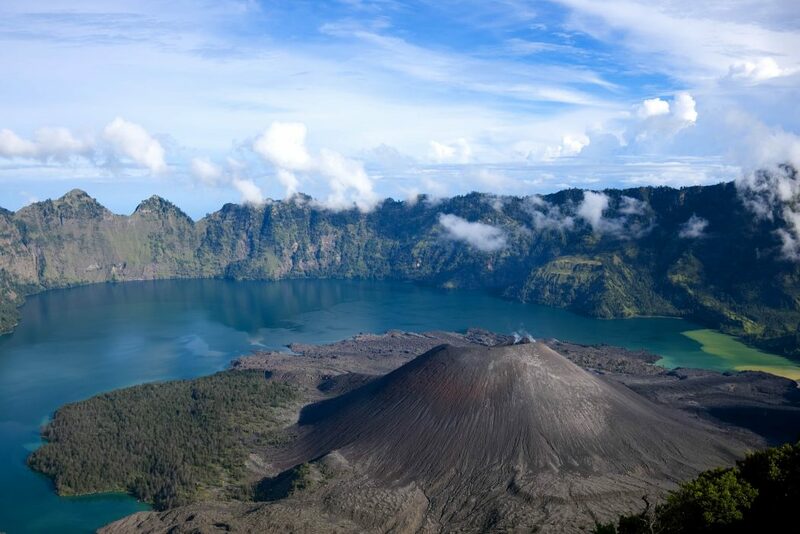 The mighty Mount Rinjani, Indonesia’s second highest volcano (3726m) is also a lure for trekkers, with the big breaks on the south coast a magnet for surfers. Indonesia has experienced consistent economic growth of around 5-6% YOY since 2010 and this is expected to continue in years to come. The rising domestic demand of Indonesian investors and tourists is an additional factor. The new emerging middle class is creating a boom for consumer companies in the country in many industries, from hotels and airlines to cars and mobile phones. This is boosting domestic wealth, which is finding its way into the property market in the form of land purchases and developments. Overflow from other popular tourism markets completes the picture. 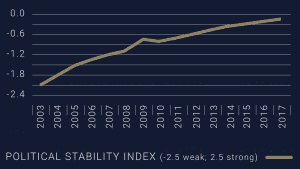 The closest comparable market is Bali, which is frequently considered over-developed and overpriced having performed strongly over the last two decades. Other regional markets, like Koh Samui and Phuket in Thailand, also contribute, as do high prices in developed markets such as Australia, Hong Kong, Singapore and Malaysia. Indonesia continues to forge ahead as one of the world’s largest democracies, with very few tensions within the existing political power structures, making it unlikely to impede significant reforms and economic growth. Following the ten-year administration of Susilo Bambang Yudhoyono, Joko Widodo was elected to office in July 2014 with a voter turnout of 70.6%. Significantly, this was one of the largest turnout rates to date and showed an increased participation by Indonesian citizens in the process, suggesting a strengthening of the system’s legitimacy.